USDCAD is massively under the influence of oil market. This pair has been climbing the ascendant channel within Andrews’ pitchfork after the previous low at 1.24584 and there will be a pullback at any time soon. 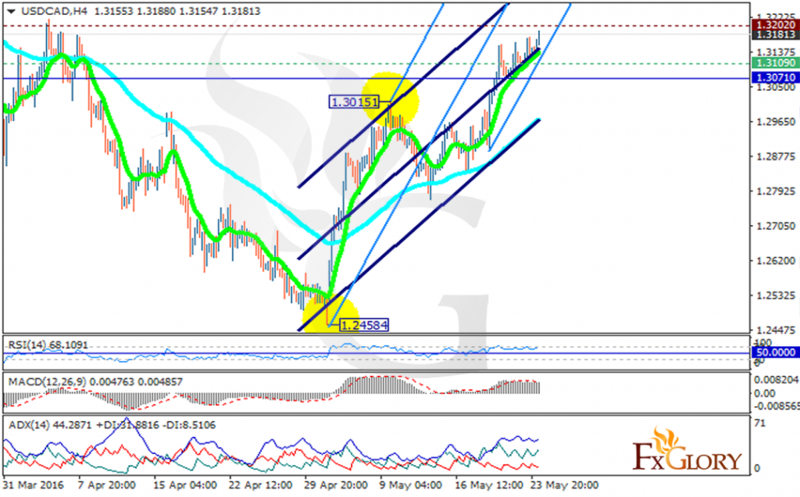 The support lies at 1.31090 with resistance at 1.32020 which both lines are above the weekly pivot point at 1.30710. All indicators are signaling buy opportunity; the MACD indicator is in positive territory, the RSI is above 50 level and the ADX is showing strong buyers. The EMA of 10 is located above the EMA of 75 confirming the recent price growth. Long positions are recommended with the target at 1.3218.